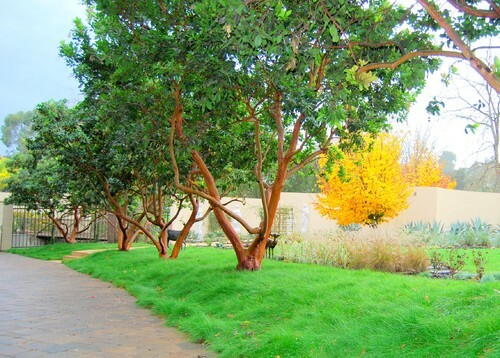 In some cases, it is possible to grow a healthy, natural grass lawn in the shade of a tree. In other cases, particularly when there are exposed roots, acidic soil under evergreens or oak trees nearby, you may be better served by choosing another option for landscaping the area. If you choose to take on the challenge of growing grass around your trees, here are six tips to help you achieve satisfactory results. Most grass does not grow well in shade so it is very important that you choose a shade-tolerant grass that thrives in your area. Your local garden center will know which types are best for growing in shade where you live, so talk to an expert and make sure you start your grass-growing journey with the right seed. It is important to note that even shade-tolerant grasses require about four hours of sun per day. The main difference is that it can be only partial sunlight filtered through the leaves of the tree, but this may not be enough light if you are growing grass under a particularly dense tree. Pruning low branches and thinning out the density of your tree will let in more sunlight and increase your chances of successfully growing grass beneath the tree. Common sense may tell you that grass in shady areas will require more nutrients, but it actually requires less nitrogen than grass grown in the sun. Therefore, go easy on the fertilizer in shady areas and opt for a nice layer of organic compost instead. Grass grown in shade should be kept about an inch taller than grass grown in full sun. This will allow your grass to have a little more surface area for soaking up any sun that comes through the leaves. Most people will find that their grass will need more water when it is grown under a tree. There are a few reasons for this, including a lack of rainfall and the competition between the grass and the tree. We do not get much rainfall in Southern California, but what little we do receive may by blocked by branches and leaves and never reach the soil around the base of trees. This means that this area of grass will receive less moisture from rain than other areas of your yard. Additionally, the tree roots and grass roots will be competing for whatever moisture there is in the soil from rain or irrigation. Therefore, lawns under trees require more irrigation than those grown in sunny areas without competition. It is important to note that some trees can actually be harmed by the amount of water required to keep grass alive. For example, the many oak trees found in Southern California do not do well with natural grass lawns planted too close to their base. Arborists generally recommend planting your grass at least 15 feet from the trunk for the health of the oak and the grass. If you want to successfully grow grass under trees, you need to reduce any stress on your grass as much as possible. This means keeping your dogs from urinating on or around the tree, limiting traffic and using as little herbicide as possible. 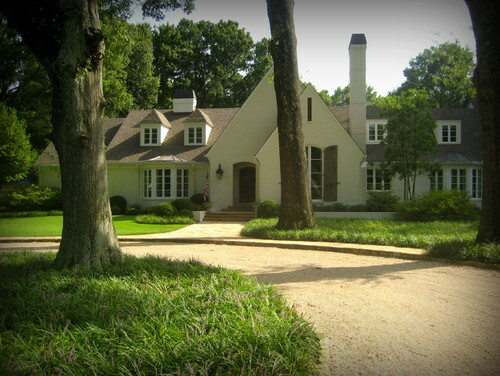 Many homeowners find that it is just too challenging to grow and maintain natural grass under trees. For these folks, it might be better to choose a different type of ground cover that will be just as attractive – or even more attractive, in most cases. 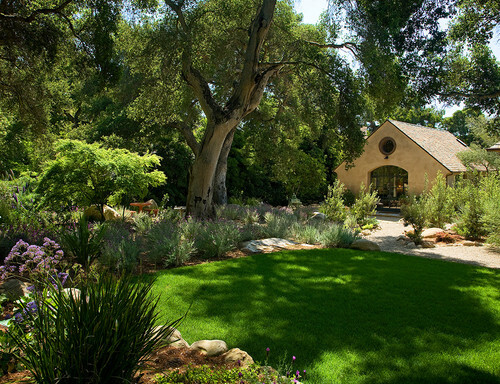 One option is to choose a drought-tolerant ground cover for shade that will require little to know water and add color and texture to the area without the high maintenance requirements of natural grass. This might include a non-living ground cover like gravel, bark or wood chips. Or it could be a living ground cover option, such as creeping thyme or types of sedum that do well in shade. Another option, which may be particularly appealing to those who really want the look and feel of natural grass under trees and throughout their yard, is artificial grass. Choosing synthetic turf allows you to have a lush, green lawn that will look just as appealing and full under your trees as it will in sunny areas. This is a particularly good option for those who want to have a grass lawn under trees that may be harmed by too much moisture in the soil, such as oak trees. 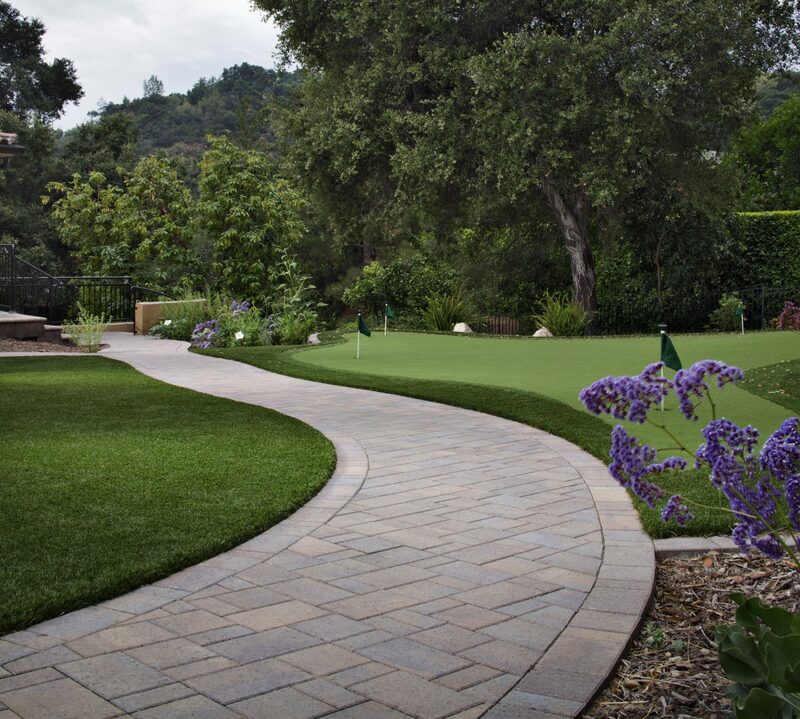 As an added bonus, manufactured grass is also a low-maintenance option that provides the look of grass without the mowing, aerating, weeding, fertilizing, reseeding and edging that is required to keep natural grass looking its best. It should also be noted that all of these tasks will not guarantee good-looking natural grass under trees. So, unfortunately, even if you do give your natural grass plenty of attention, you still may not be satisfied with grass grown in shady areas. Therefore, if most alternatives to natural grass lawns are not quite what you are looking for, you might want to consider artificial grass. Install-It-Direct can help you determine if synthetic turf is the best option for your particular project. 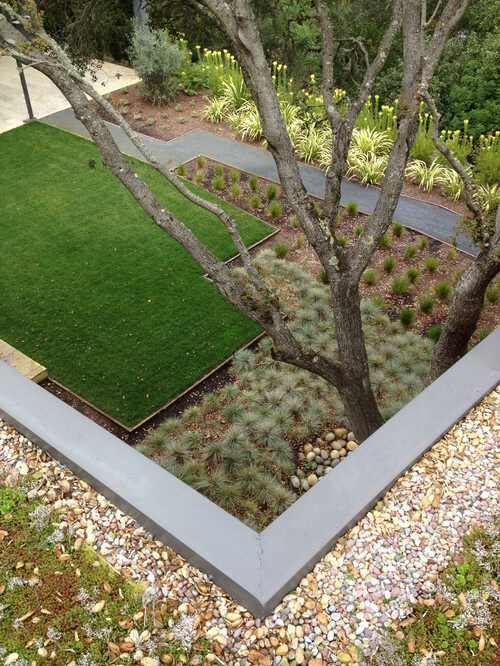 Give us a call today to talk to one of our design consultants about your landscaping needs.